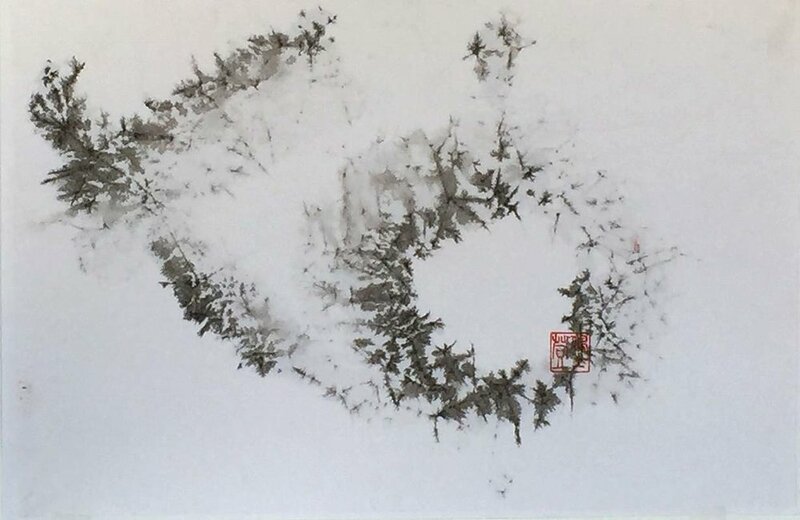 The first release of William’s sumi-e in 2018. 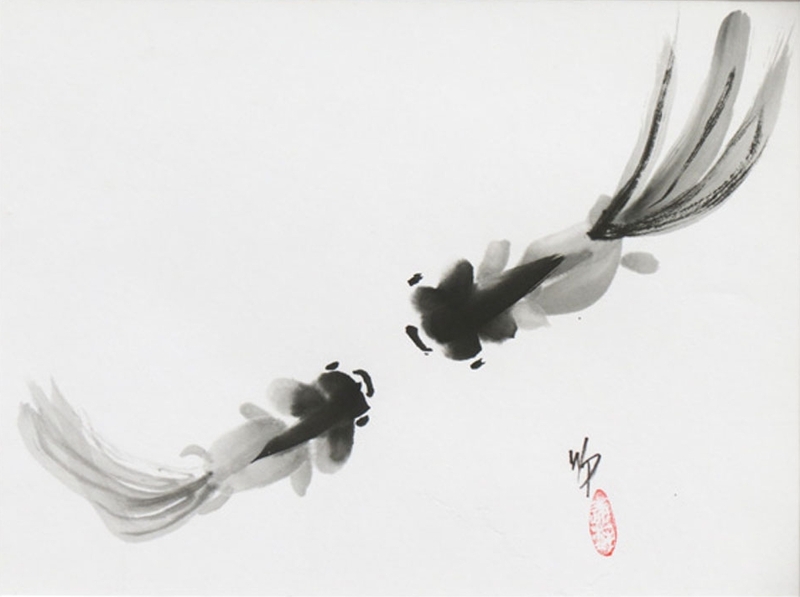 William Preston came to be considered a master sumi painter, locally as well as nationally. 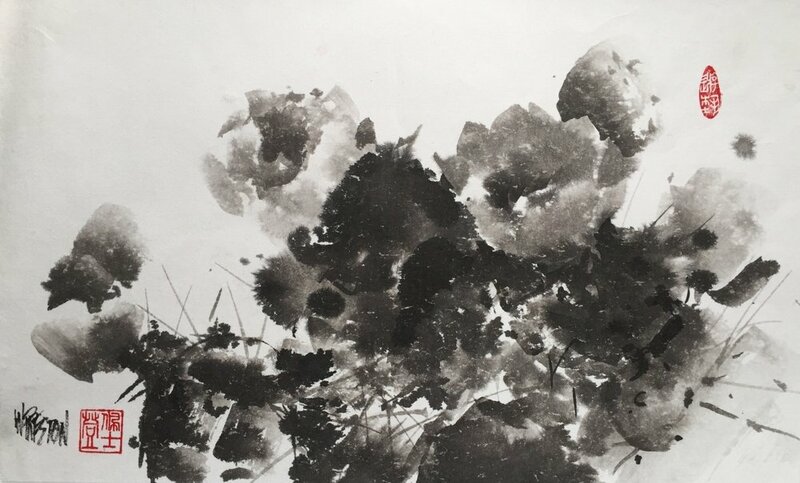 His works in sumi ink on rice paper are prized by aficionados of the form and he was a sought-after teacher. 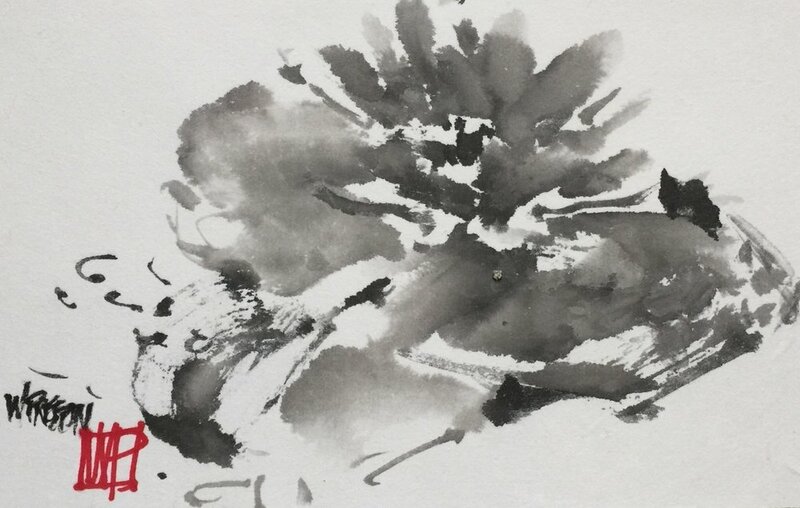 He brought the sumi painting technique and his mastery of the brush to his 15-year oil painter’s experience with the Southwest landscape, and its flora and fauna. 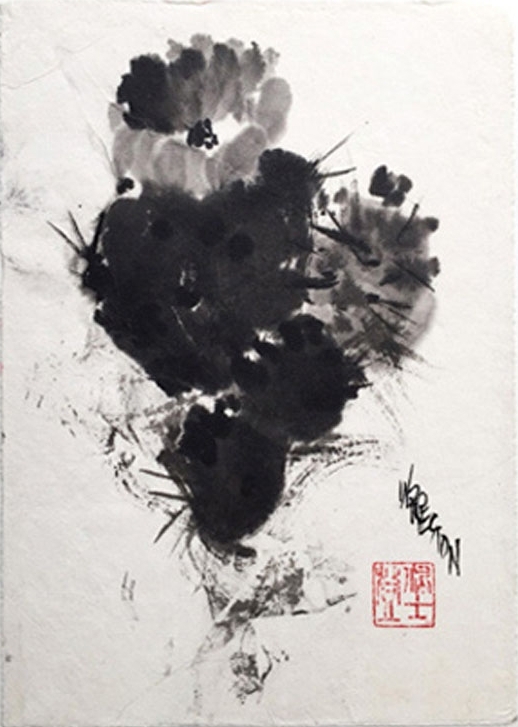 The sumi-e Love at First Sight is representative of Oriental ink and brush on Rice Paper. 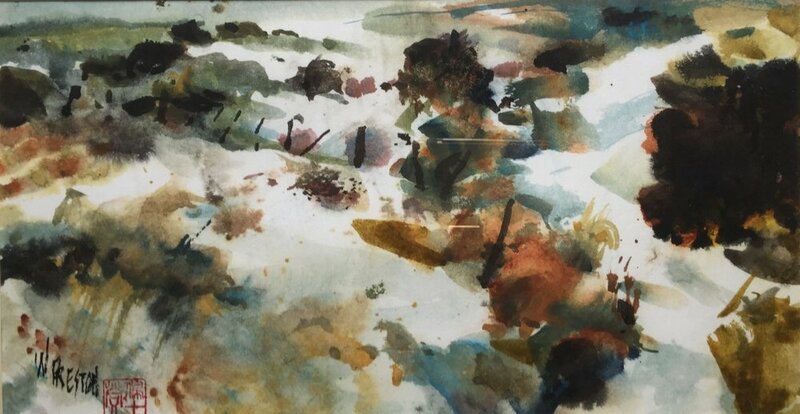 The balance of ink and water in the brush creates the tonality of the image, while the absorbency of the paper demands immediacy and decisiveness - no hesitation, instinctual command. 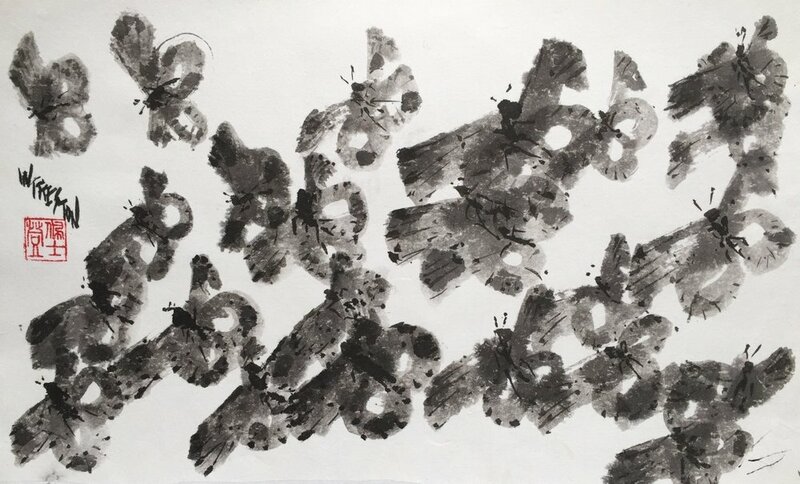 This approach creates the poetic moment of masterful sumi-e.
Sumi paintings are done on rice paper, as you can see below, and the finished work then mounted on another piece of rice paper. 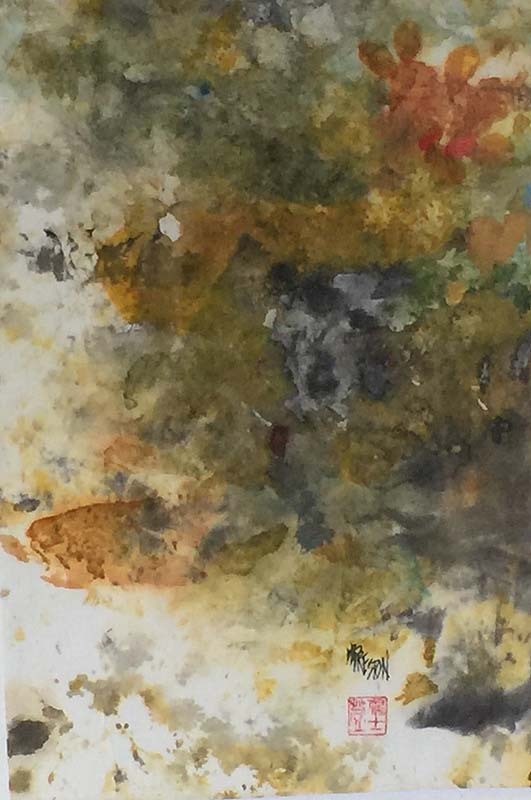 "Rice" paper is made of various plant materials, is very thin, translucent, very strong, both wet and dry. 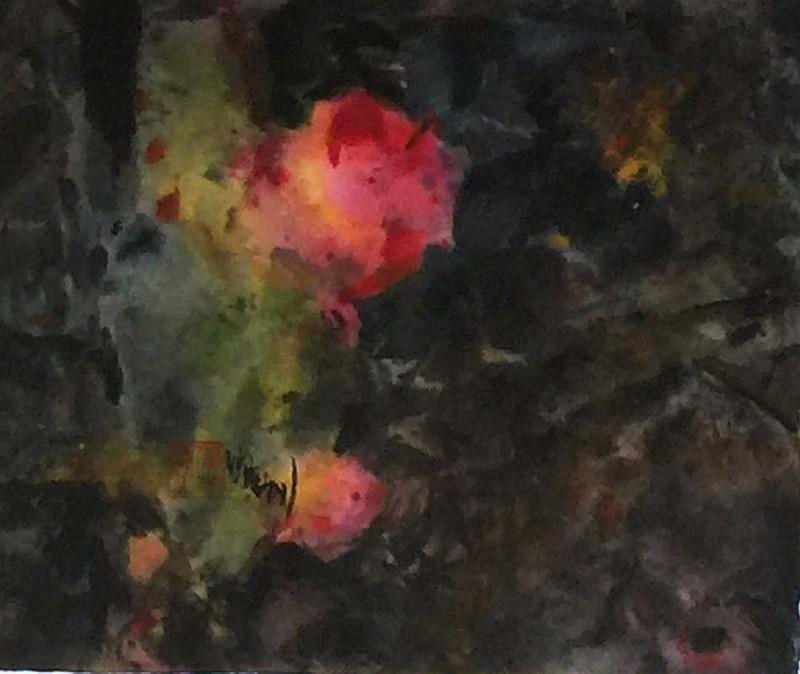 Painting on it requires skill and practice; there is no going back, no correcting. All work here is sealed with his chop; work completed but unsigned because of William's illness was sealed after being wet-mounted by a dear friend and student of Bill's. 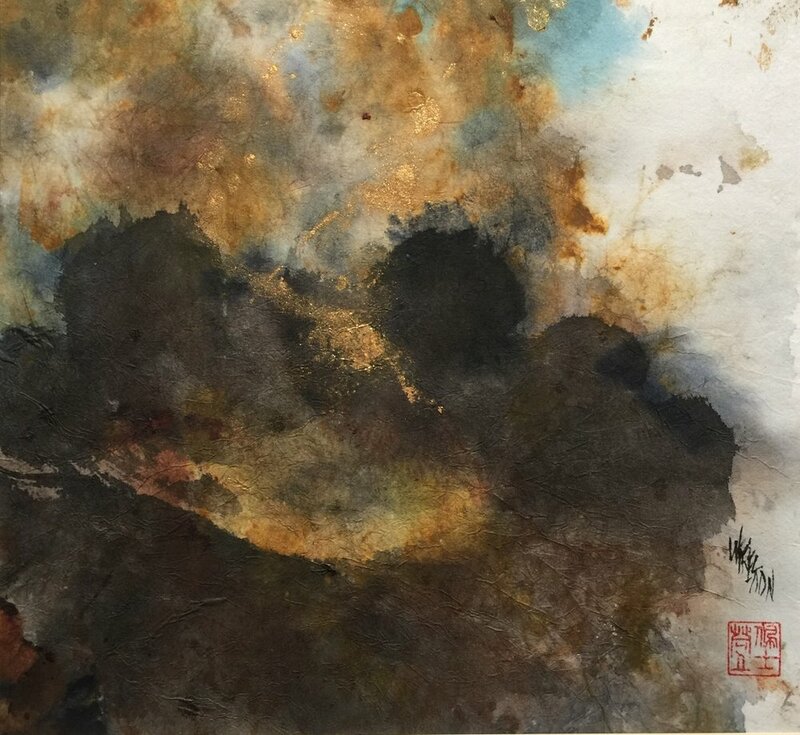 Sumi-e, oil paintings, drawings and other art forms from William Preston's remaining bodies of work are offered here only by Marianne Hornbuckle. 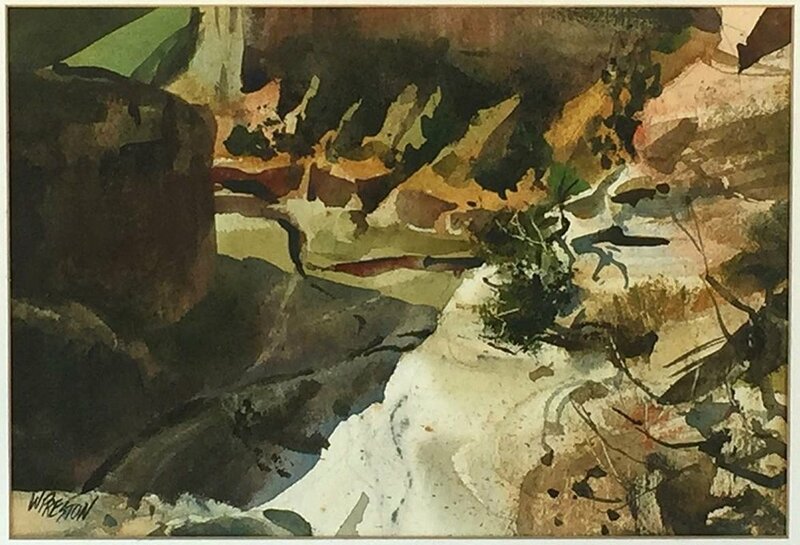 Announcements of offerings will be made public through our newsletter, and on the Preston/Hornbuckle Fine Art page on FaceBook. To receive timely notices of releases, sign up for the Preston/Hornbuckle Newsletter below and follow us on Facebook.